I read a lot. This is what I think about what I've been reading. No, this is not about a dude smoking weed. This gentle story of a farmer’s son who discovers literature and becomes a teacher was written in 1965, and the story begins in 1910. An almost illiterate farmer learns of agricultural courses at a university, and figures if his son took a degree in agriculture, it would help the farm, so he sends his son, William, off to college. During his first semester, in which he has to take a literature survey course, the boy abandons his agricultural studies and sets out to get a degree in lit. He lives with the tightwad brother and sister in law of his father, in a tiny unheated unventilated attic room in exchange for helping out on their farm. He lives there until he gets his degree, then is hired by the college to teach while he works on his Masters degree and his doctorate, whereupon since he has some money, he moves out into his own place. He is shy and quiet, sees a young woman at a faculty gathering, the daughter of somebody’s relative, falls in love and persuades her to marry him. They have one child, and that wife is one nutcake, believe you me. It is the slow, quiet story of a man dedicated to his subject, to teaching, to the university where he teaches until he dies. Kind of a midwestern Goodbye Mr. Chips. It is the story of how he adjusts to the ebb and flow of his wife’s strange mental states, and really, nothing much happens, other than the ill-fated love affair during his forties. I guess you could say it is a story about disappointment, but I don’t think he ever expected much, so his disappointments were maybe just that, disappointments, not soul-crushing despair. This is not a plot driven book, but a character driven story. And even though I am usually all about the story, like in what happens next, I found this book poking at me to read just a little bit more, just a little bit more, just a little bit more. The edition I read had a long-winded introduction written by the Irish writer John McGahern, which I found to be not much more than a long rehash of the plot. I usually like intros because they often indicate points to look for as you read, and suggest the intentions of the author, etc., but this one was a terrible disappointment. 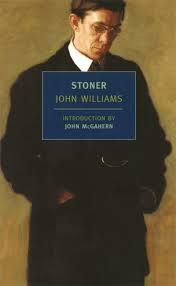 I guess considering William Stoner’s life, it is fitting. It is a thoughtful book that didn’t make much of a splash when it was first published, but seems to have been lately rediscovered and is getting a lot of play these days. I liked it in spite of its somber mood. After all, every day can’t be Sunday at the beach. Gena Delacourt is was an attorney and left that all behind to become a P.I. This is the sixth in the Delacourt mystery series, so there is a lot of back story, but this is the first one I have read, and I didn’t find it bothersome not to have read them all first. So I would call it more or less a stand alone. Apparently Mz Delacourt has just gotten engaged to a San Francisco Police Dept. homicide detective, and let me tell you, ladies, the man is a treasure! He is just too good to be true….. or real…. which is why he appears in fiction, and not in somebody’s romantic memoir. Well, there is an earthquake, things go bumpity bump, and the Loved One cannot be reached by phone at any of his hangouts. (Did I mention that he is also a sculptor? Yeah, see what I mean?) So Gena gets in her vehicle with their dog Stella, who is just a canine treasure, and drives around looking for him. I guess this makes sense. She sees his truck parked at a mansion of an extremely wealthy woman who is never seen, after years of being an adolescent Goth fixture on the social scene. She is …. what do they call those kind of people? Oh yeah. Reclusive. She has a number of properties, all of which are kept in immaculate condition by a small staff at each location. So the boyfriend is saved but suffers severe brain trauma, and let me tell you I have experience with this from when my ex suffered brain trauma after a motorcycle accident. He is in a coma for a long time and when he wakes up, has almost no memory of anything and definitely doesn’t know who Gena is. She is devastated. She is determined to find out why he was even there on the property, and that is the mystery that is offered to us Gentle Readers. She contacts another P.I she knows from some previous case and together they go do a lot of P.I.ing, and if you think you might know about the reclusive property owner, you are probably right. Does the dude ever recovery his memory and will he finally remember who the chick is who is always hanging around? Oh, please, what do you think? Very readable, decent mystery, a bit mushy, and I think the recovery period of our brain-damaged SFPD boy is speeded up much more than is realistic, but I am willing to suspend disbelief a bit because everybody is so darn likable. So all in all, not bad. It’s a mystery, folks. It ain’t Infinite Jest. An apocalypse book like no other. And not a vampire or zombie in sight. Just a virus. A virus that started in Europe or Russia that within only a few days covered the world, thanks to air travel. A virus that killed off almost everyone, except a few hardy souls that perhaps had some kind of natural immunity or were for some reason isolated from it until it ran its course. So far, so unoriginal. But see, the book is not really so linear as all that. It starts off with an aging famous actor dying in the middle of a performance of King Lear in Toronto. In the audience was a young EMT in training, who jumps onto the stage trying to save him. Waiting in the wings was an 8 year old girl, a member of the cast in this unusual version of the classic play. Meanwhile, the young EMT’s doctor friend keeps calling him from the ER telling of the progress of what is beginning to look like a flu epidemic, until it is clear it is looking like a pandemic. He advises his friend to get out of the city NOW. The EMT makes his way on foot to his brother’s high rise apartment. He buys out the local grocery store of water and food and essential supplies, filling up 7 or 8 carts, and in a raging snowstorm pushes them to his brother’s, where they hole up, sealing themselves in until there is no more food left, at which point the paraplegic brother kills himself so that his younger brother will not have to deal with him as he travels to …. wherever. We skip in time to something like 15 or 20 years after the Collapse. The world is sparsely populated, with survivors living in small groups here and there. We learn of a traveling symphony and Shakespeare troupe, using old trucks with the engines taken out pulled by horses to transport their gear and scenery. 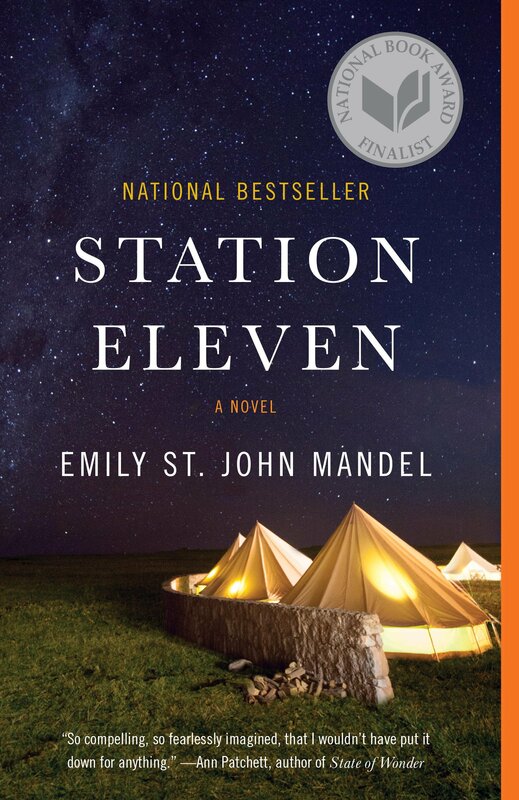 The gasoline all went bad after three years, and the airplane fuel went bad after five, no electricity, no nothing, just primitive living, the houses and businesses having all been looted bare long ago. The band travels around the Upper Peninsula of Michigan giving concerts and plays. It turns out that the principle character of this part was the 8 year old girl of that long ago performance of King Lear, who is now one of the actresses in the troupe. Among the various threads of the story is a former wife of the dead actor who was an artist and who was working on a graphic book, of which she had had printed the first two volumes. The actor gave them to the 8 year old to amuse her while she was waiting to go onstage. They are one of the few things she still possesses after the Collapse. And so the story goes back and forth between the back story of the actor and his wives and son, and his best friend,, and the current story of the traveling symphony troupe, the EMT, and how these threads come together. I found it an amazing, stunning work, with intricate plotting and a believable apocalypse and post apocalypse period, with realistic people. It was noir, yes, but not despairingly so. Its essential message is hope. Loved it. Could not put it down. Seven Sisters alludes to the Pleiades, and among other things, it can refer to the series of chalk cliffs by the English Channel. I don’t want to get too bogged down in any symbolism implied by the title. 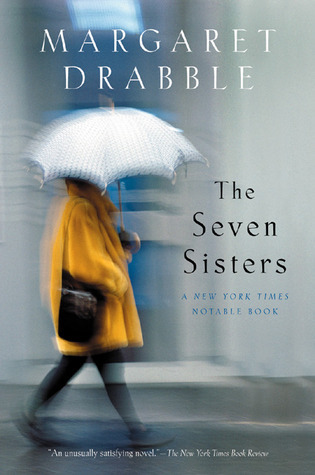 It is just as likely to refer only to the seven women who become involved in one way or another in the life of the main character as it is to Greek mythology or forms of geology. Candida Wilton is the prim, prissy, priggish late middle aged wife of a headmaster at an educational institution. She doesn’t much like him or her three daughters, and the hubs divorces her for the mother of a deceased friend of one of her daughters. Gee, That’s complicated. Her daughter had a best friend, and this best friend filled her pockets with rocks and walked out into the middle of the pond and drowned. Candida’s husband left her for the mother of the drowned girl. half the people around here look psychotic. You can’t tell the muggers from the mad. We learn of all this by way of a diary she has decided to keep. In the diary, she comes off prissy and whiney, and admits so, and wonders how she can change this. I’ve just read what I wrote yesterday, about the Health Club. I am quite interested in the bleating, whining, resentful, martyred tone I seem to have adopted. I don’t remember choosing it, and I don’t much like it. I wonder if it will stick. I will try to shake it off. I will try to disown it. We learn of her two friends from the country, and of a couple of new friends made in the city. She begins her life there by taking a class in Virgil’s Aeneid, where they study the work with translations alongside the original version in Latin. The continuing ed institution sells its building to a company which installs in it a health club, and the classes end. After coming into a little money, enough perhaps for a trip, she gets the idea to travel to Naples and sets about collecting some friends to go with her, one being the elderly woman who taught the Aeneid class, another is a friend from her former life, whom she doesn’t much like either, and all in all, including their tour guide, they make a party of seven. In the second part of the book, a third person narrator takes up the tale, telling us of Candida’s suicide in the canal near her apartment in London, after the trip, purporting to be her eldest daughter doing the writing. And then we learn that no, it was still Candida trying to get rid of her whiney voice, and that she is still very much alive. It is not a book in which very much happens, but enough happens to keep us women of a certain age interested. It is a story of change, but not of changing. I got from it the idea that our circumstances can change, we can make changes, but that, other for some small things, we don’t ourselves essentially change. And we don’t essentially change because we like or are comfortable with whom we really are, bleating, whining and resentful though we are. It is essentially a woman’s book, and maybe even a woman-of-a-certain-age’s book. I am not sure a young woman would have much interest in it, nor would men, but then, what do I know. I loved it. Even though I am only 37. Cough cough. 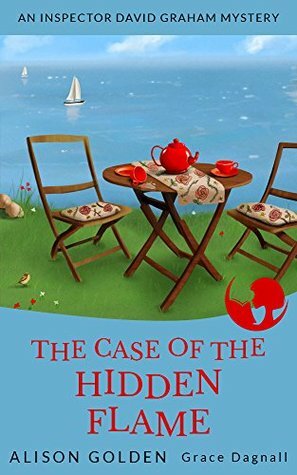 A charming cozy mystery set in (on?) the island of Jersey, off the coast of England. Inspector David Graham is newly assigned to the small police department there, and wouldn’t you just know it, five minutes after he arrives and before he can even unpack his suitcases, a body is found partially buried on the beach near his hotel. 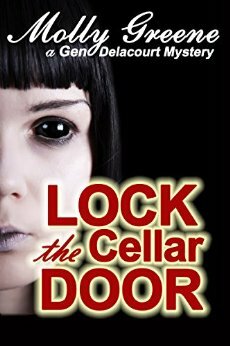 Some nice characters, not the best plotting and characterization but sufficient for this short, novella/novelette, and it even winds up with the DI gathering a group of the suspects around a table for the Big Reveal. And of course, the guilty party ends up blurting out an angry, tearful confession. Which confession, no doubt, when that person comes to their senses and retains a lawyer, that person’s lawyer will have disqualified because it wasn’t under official circumstances or something, and will deny everything. But that is for a later and darker, more realistic story. I am pleased to announced that I — for once — actually guessed who did it, but not the motive. Short, sweet, but not all that compelling, and frankly, I can’t for the life of me see why it took two authors to write the thing. This is the first of a series. Remember The Shadow of the Wind by the same author? Sure you do. I talked about it here. Well, this is a continuation of the story. No it isn’t. It’s a prequel, actually. This second volume in what is now a three volume series now under the heading of The Cemetery of Forgotten Books umbrella, is set beginning in the very early 1900s. In the first volume, the principle character Daniel Sempere is …. ok, let me start from a better starting place. David Martin is a young man whose mother left his father and him when he was quite young. His alcoholic father was illiterate and abusive, forbidding David to have any books or schooling. One night his father is murdered, and now he is an orphan. He is given a place to live in the offices of a newspaper where his father was a janitor. He learns to write ad copy, and yearns to be a writer of repute. He meets a guy named Corelli who gives him an obscene amount of money to write a book for Corelli based on Corelli’s idea, one which will change the world. David’s longtime benefactor and mentor, the guy who got him the copy writing gig, is wealthy, and a dilettante. He, too, dreams of being a famous writer. His driver has a daughter, with whom David falls in love. David rents an old wreck of a house with a tower studio. [Sigh. I SO want one of those.] There is a whole tangle of a thread in the story about who built it and lived in it previously. 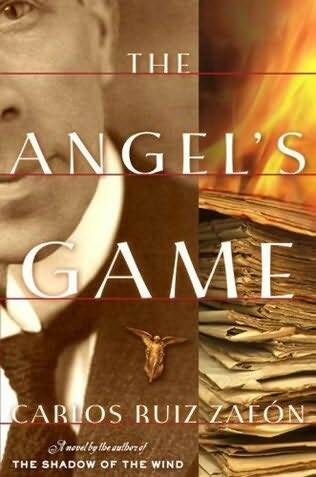 It all involves murders, stalking policemen, true love gone astray, and David’s closest ally, the bookseller Sampere, and his shy son. The bookseller takes David the The Cemetery of Forgotten books, a labyrinthine building housing thousands of books now forgotten, the one absolutely safe place where one can hide and save a book. David is permitted to take one book from the shelves, any one of his choosing. He is drawn to one that seems to have been written by the previous occupant of his house and seems to be also a book written for Corelli. Gabriel Garcia Marquez meets Umberto Eco meets Jorge Luis Borge. Ruiz Zafón gives us a panoply of alluring and savage personages and stories. His novel eddies in currents of passion, revenge and mysteries whose layers peel away onion-like yet persist in growing back. We are taken on a wild ride that executes its hairpin bends with breathtaking lurches. I couldn’t have said it better myself. Remember I told you that so many Hispanic writers have that touch of fabulism or surrealism in their works. Well, this one is no exception, and Zafón uses every opportunity to haul out the archetypes and symbology, and honest to Pedro, it makes for some fine (and convoluted plotting). Stories within stories, plot threads around plot threads. What a kicker! And now I can’t wait to read the third volume, The Prisoner of Heaven. Let’s see, what do I know about Africa? The veld. Lions, elephants, gorillas in the mist, poverty, famine, tribal warfare, ebola, Nelson Mandela, apartheid, safaris, Ethiopian Christians and Ethopian Jews and the Ark of the Covenant, Nigerian Prince scams, the Congo. Jungles. Slavery. OK, that’s about it. Talk about parochial. Oh, wait! There’s also Egypt. How could I forget Egypt? Tunisia, Morocco, Algiers, the Casbah. 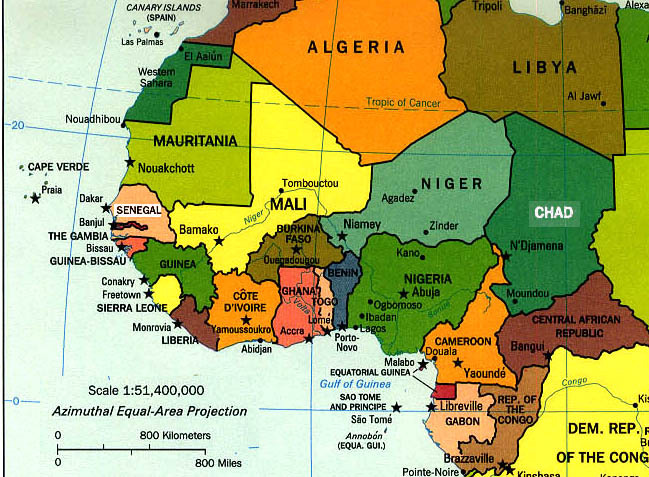 Geez, Africa is really diverse. More diverse than say, South America, even though S.A. has all those countries. 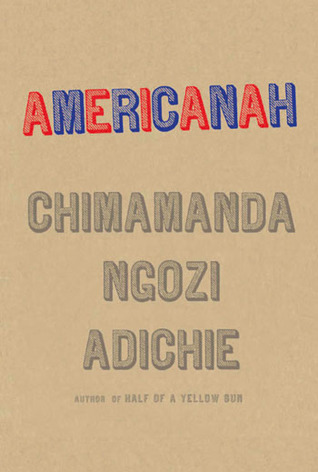 Well, this book is about Nigeria. And England. And America. You can forget the Nigerian prince scams. This has nothing to do with that. It is mainly about life in Lagos. Funny how the folks in Lagos are an awful lot like the folks in Zacatecas, and like the folks in New Jersey, and like the folks everywhere. If there is one thing I have learned from living in Mexico it is that underneath all the differing cultural facades, everybody is just trying to live their lives, have family, have loves, have friends, have a job, a home. This is a story by a Nigerian woman, about a Nigerian woman. First of all, it is a love story. But you don’t really know that until the very very end. Second of all, it is about race, interpersonal relationships, and culture. It is about immigration and home. OK, I think that pretty much covers it. In America, you don’t get to decide what race you are. It is decided for you. …the true Lagosian was always hustling, eyes eternally alert to the brighter and the better. Nigerians don’t buy houses because they’re old. A renovated two-hundred-year-old mill granary, you know, the kind of thing Europeans like. It doesn’t work here [Nigeria] at all. But of course it makes sense because we are Third Worlders and Third Worlders are forward-looking, we like things to be new, because our best is still ahead, while in the West their best is already past and so they have to make a fetish of that past. Ifemelu had a love in Lagos, and promised to return. But when she got to America, she got involved with some rich white kid who helped set her up in business. The Lagos boyfriend, who had always wanted so much to go to the states, was constantly denied a visa, so when he had the opportunity to go to England for some business, he got the blessings from his educated mother to disappear into the country and try to get documentation to stay there. He was never able to do so, losing a whole bunch of money to some scammy marriage brokers who set him up with a national so he could stay, but right before the wedding, he was arrested and deported back to Nigeria. Back in Lagos, he came under the mentorship of a wealthy businessman, and he became wealthy himself, gave up on Ifemelu ever returning, and married a beautiful, if bubble-headed woman with whom he had a daughter. fleeing from war, from the kind of poverty that crushed human souls, but they would not understand the need to escape from the oppressive lethargy of choicelessness……. people who resolved to do dangerous things, illegal things, so as to leave, none of them starving, or raped, or from burned villages, but merely hungry for choice and certainty. Great story that brings a lot of issues right up front so that we cannot avoid looking at them. I will give you one last quote, something to give you a chuckle, and a taste of the writing style. …the tendency of Nigerian women to give advice, sincere advice dense with sanctimony.